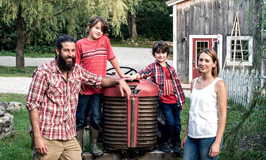 This season, we started keeping bees which has heightened our awareness of many things within the orchard, connecting the ecosystem from something as small as mycorrhizae in the soil to something as big as the equipment and inputs we use. Farmer B has been extra gentle in what he is spraying on the trees, careful not to use even organic pest control measures that have the potential to harm bees. Wildflowers are left to grow, supplying the bees with the pollen they need to feed their colony and ultimately produce honey that we will enjoy and sell when we have a large enough supply. Continuous blooms are allowed to go to seed to encourage more grasses, flowers, and different herbs to grow throughout the orchard. As a result, we are noticing more biodiversity within just two years. As the summer solstice passes, when the sun is at its peak, it highlights a return to light. Light, love, and power are the energetic attributes for the summer solstice. It’s a time for barbecues and trips to the beach, generally a time to celebrate being outside and our connection to nature. For us, it’s a reminder that we need to enjoy our free time as much as possible before the apples start to drop; to pause and be conscious of the energy we are extending. In this article by Dr. Joseph Mercola, Americans are said to spend 80 to 99 percent of their day indoors, disconnected from nature. In response, Japan has implemented “forest bathing” as part of its national health program since 1982, before there were even smartphones and other handheld technology to “unplug” from. 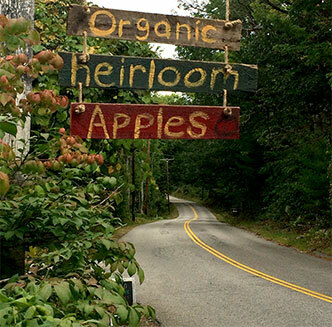 And now the benefits of being in nature are beginning to become more recognized. Science is just catching on that our disconnect from nature is affecting our mood and mental health. It is shown that walks in nature decrease negative ruminating thoughts and elevate moods. 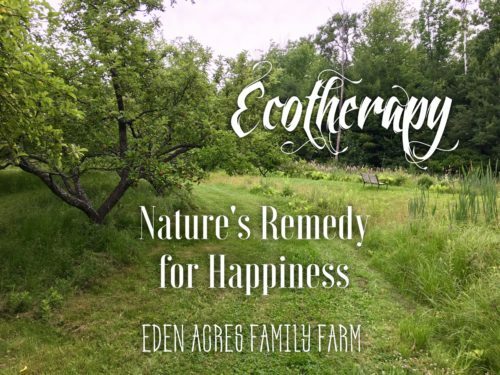 Yup, there’s even a name for it… Ecotherapy, nature’s remedy for happiness! In all the craziness around the Fourth of July, I needed to get back on track. Walking the orchard, taking in the beauty around me, and giving thanks for all of my blessings are ways I can slow down and pause. What are some other ways you can pause and enjoy life more?